April 25, 2016  A three-judge panel overturned a lower court's ruling that found NFL Commissioner Roger Goodell was not fair when he handed down the suspension. April 7, 2016  The NFL took away the Patriots' first-round draft pick as punishment for Deflategate. 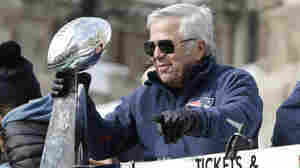 Fans say the team shouldn't be penalized while the case is on appeal. 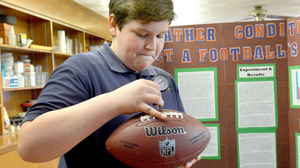 March 9, 2016  A seventh-grader named Ben Goodell created a science project to try to prove Tom Brady and the Patriots didn't tamper with the inflation of footballs, as maintained by NFL Commissioner Roger Goodell. September 10, 2015  With his four-game suspension overturned, embattled New England quarterback Tom Brady will be under center for tonight's game as the Patriots take on the Steelers. September 9, 2015  History shows why we shouldn't be surprised that a judge recently overturned New England Patriots quarterback Tom Brady's suspension. September 3, 2015  Brady appealed a suspension handed down by NFL Commissioner Roger Goodell in federal court. The judge sided with Brady. 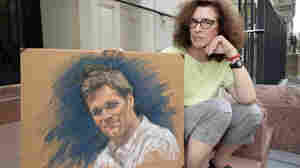 August 31, 2015  Also, Jane Rosenberg, the sketch artist whose vision of Brady at his first appearance in federal court sparked a flood of commentary, issued a new sketch of the quarterback. 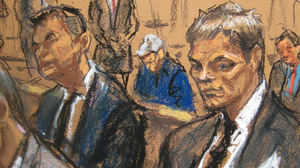 August 13, 2015  Veteran sketch artist Jane Rosenberg has been blasted online for her less-than-flattering depiction of the NFL quarterback during his appearance in a federal court Wednesday. August 12, 2015  NFL Commissioner Roger Goodell and New England Patriots star Tom Brady were in court today to update a judge on settlement talks regarding the quarterback's four-game suspension. August 12, 2015  As NFL Commissioner Roger Goodell and star quarterback Tom Brady head to court over "deflategate," commentator Frank Deford says it's time for Goodell to be replaced in the league's front office. July 29, 2015  The Patriots quarterback said he got rid of his phone only after his lawyers told the NFL his device would "not be subjected to investigation." 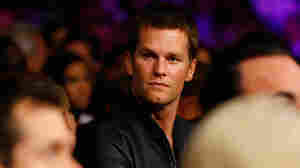 Brady said he was "disappointed" in the NFL's decision. 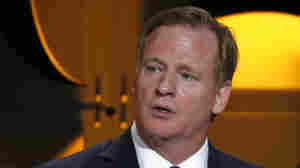 July 28, 2015  Until June, New England Patriots quarterback Tom Brady did not acknowledge to investigators that he had destroyed his cellphone, NFL Commissioner Roger Goodell says. May 20, 2015  Tom Brady could be guilty of one of the worst transgressions in sport — purposely defiling the part of the game that makes it fair and square. May 19, 2015  The NFL fined the team $1 million and stripped it of draft picks in connection with the scandal involving underinflated footballs. 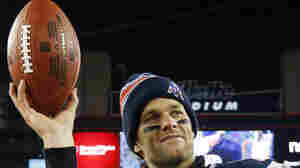 Quarterback Tom Brady is appealing his four-game suspension. May 14, 2015  The NFL Players Association, which filed the appeal on behalf of the New England Patriots quarterback, is calling for a neutral arbitrator to hear the appeal.